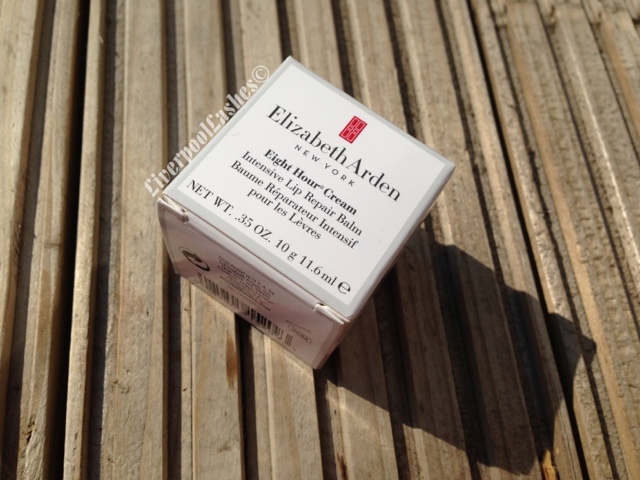 I received the Elizabeth Arden Eight Hour Intensive Lip Repair Balm as part of #midsummermeet goody bag and I have to admit I got really excited about it. 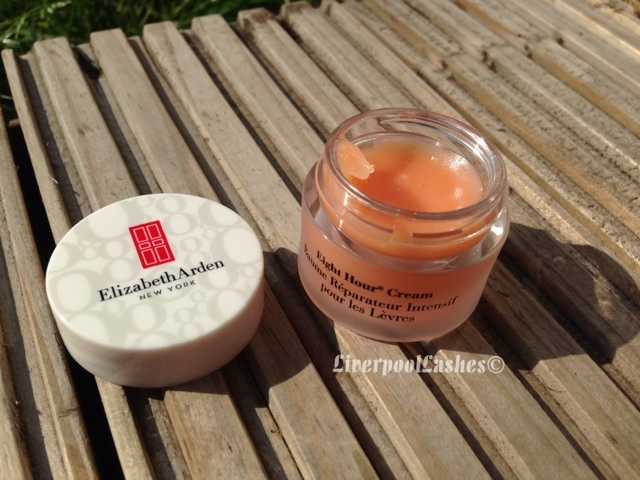 The first time I tried Elizabeth Arden's Eight Hour Cream range was on one long haul flight. I can never be bothered to do the 'liquids and creams' in a little bag fiasco so I never take anything like that on board with me in my hand luggage. Whilst flicking through the duty free magazine I noticed a set with their Eight Hour Hand Cream, Lip Protectant and Skin Protectant. As the air is so drying on planes I decided to purchase it. 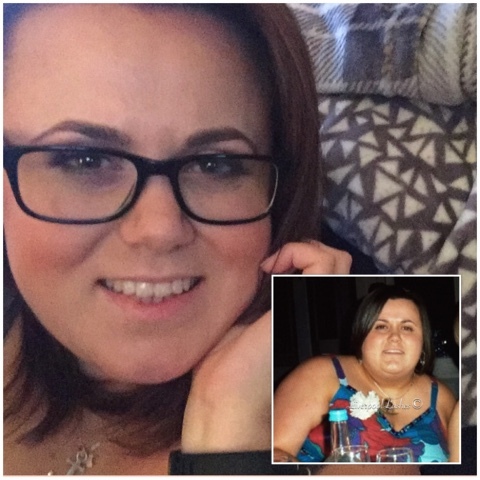 This turned out to be the best decision I have ever made as I could sit in the comfort of my own rickety chair but keep my hands and lips moisturised. Sidenote: If you're flying anywhere and you have the chance to buy a set like this, snap it up. I felt amazing getting off the plane and thoroughly hydrated. 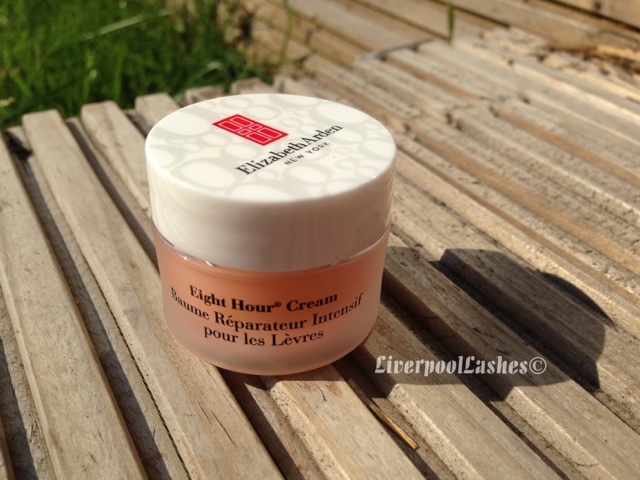 This lip balm is in a handy little pot which is perfect to sit on your bedside chest, applying before bed so it can work it's magic whilst you're sleeping. The scent is extremely subtle, I think the closest thing to liken it to is lemon. The texture of it is really smooth and creamy, the best part is that whilst wearing it your lips aren't sticky in any way either. I feel like it gives an ever-so-slight tingle to the lips too which checking the packaging it does contain menthol. The bottom line is.. with the colder months on their way it's time to start keeping your lips hydrated. Dry, chapped lips are never fun and definitely not a good look for anyone no matter who you are. This lip balm is one of the best I've tried but if you're not a fan of potted lip balms I can highly recommend the Eight Hour Cream Lip Protectant Stick which I feel is virtually identical but in a stick format.